At Insuregroup, we have access to over 100 national and international insurance markets – and we combine this with prompt service and expert advice. We identify your business insurance needs locate an insurance product that caters to these needs specifically. Concrete Pump owners and operators are exposed to potentially large losses, including loss or damage to expensive machinery and or public liability, so buy from the leading concrete insurance broker to ensure you get the right cover for the best available price. Comprehensive cover on the truck including any attachments and including superior accidental damage cover. General public liability insurance to cover injury or property damage – to other businesses or the general public – caused by you in the course of you operating your business. Our approach to sourcing specialist insurance solutions for concrete pump operators. Our service process is centred solely upon you and the nature of your concreting operation and this ensures that you get a targeted solution from specialist concrete insurance providers. 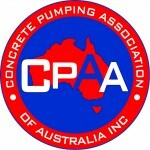 Our concrete pumper operators’ questionnaire is a very detailed series of questions that are designed to help us to assess the nature of your business and the insurance needs that are likely to arise throughout your operation. You can fill out this questionnaire through our website and doing so provides us with a clear and detailed point of reference. With this information available, our team can begin searching through the hundreds of insurance products we have available to us. The quote that has been collated for you will be processed by our team and sent to you via email, for your convenience. We demand the upmost in punctual service for all of our prospective customers and because of this, our team will work hard to have your quote presented to you in a timely and prompt manner; we understand that you are likely to be busy and the last thing you want is to receive slow or ineffective service. Once you have received the email containing the quote, you can review the terms of the policy and if they appeal to you, we encourage you to accept the quote by sending us an emailed response. We understand that a new insurance policy can be quite a significant decision and because of this, we strive to remain accessible to you – our team is on standby and you are welcome to call us with any queries you may have about your quote. Our experienced and qualified specialists are only too happy to address any points of concern or confusion; we believe that you ought to have access to all the information necessary to make an informed decision. We believe in providing our customers with excellent customer service and to guarantee you the most targeted service we strive to respond to your needs with upmost urgency. With a great deal of experience in our field, we can generally turn around a quote and bind a policy within 24 hours. With access to advanced technology, we can provide electronic certificates of insurance for you in a prompt and timely manner. We do require payment prior to issuing the certificates, however. Insuregroup has access to over 100 insurance markets both nationally and internationally. We routinely research these markets to ensure our customers get the right cover and the best available price.